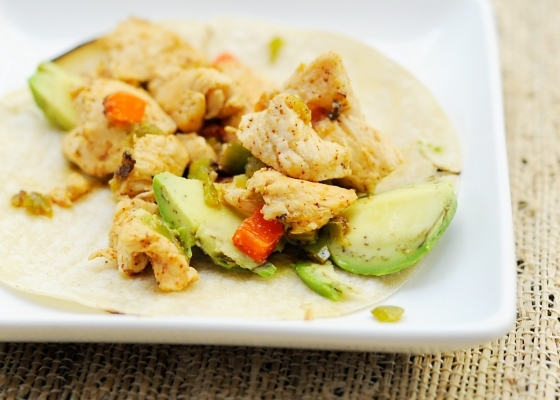 Fajitas have replaced our Taco Tuesdays and what a great change it has been. They have become a new weekly staple for us!! We LOVE us some Bartaco. It is by far my daughter’s favorite restaurant. She really likes the simple chicken, cheese and corn tortilla tacos. She said she wishes we could “go all the time” but then I thought, I can do that. And you know what? I can do it, and even better. 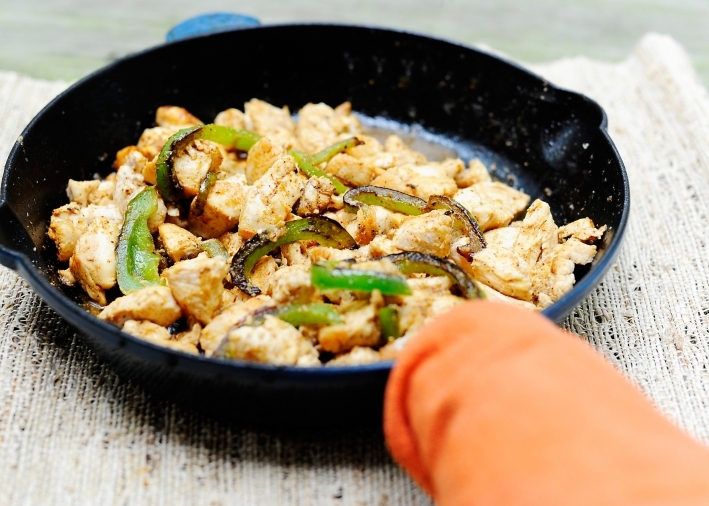 Not to boast, even though I just did, but really, these fajitas are really delicious, and they are so quick and easy to make! Having the chicken pre-cut is such a mental hurdle, and finding pre-cut sweet or green peppers too (if you can find them) is super helpful. 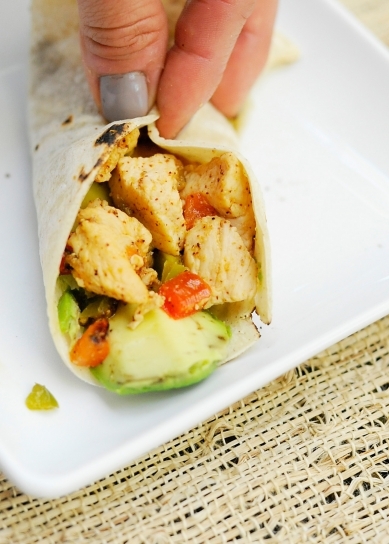 Warning: This part is not paleo but it is kid-friendly and gluten free. My daughter and husband like Applegate’s white cheddar cheese which is what Bartaco uses (at least they use a white cheese). I don’t use the cheese and neither does my son. We both like ours with guacamole or chunks of avocado. Tate also likes his with Pete’s Hot Sauce, but whatever. 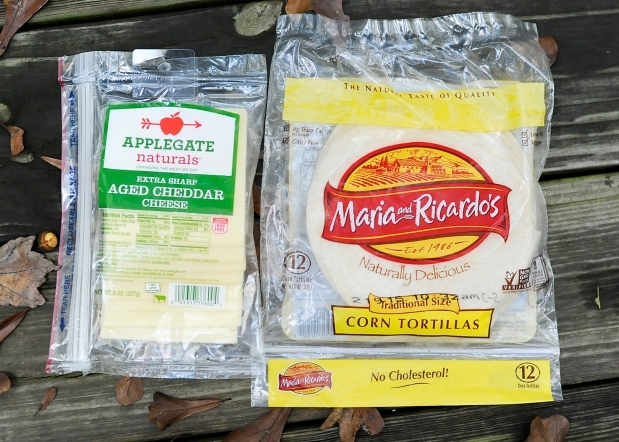 We also use corn tortillas from Whole Foods. I’m sure you can get them just about anywhere though. Everyone uses the corn tortillas and I typically just make a chicken and guacamole bowl for myself but tonight I had one with a tortilla and, man, was it good!! In a large pan, add 1 tbsp of butter and onions and peppers. Over medium heat, stir until cooked evenly. Once brown, set aside. Add the other 2 tablespoons of butter to your warm pan and add the chicken. Cook for about 10-15 minutes or until no longer pink in the middle. 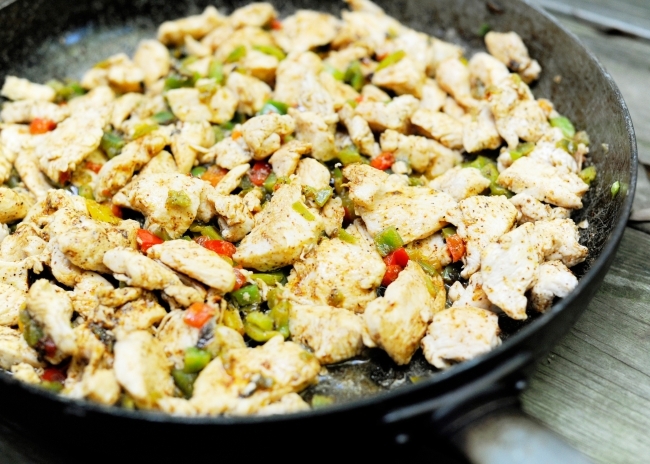 Then add the peppers and onions back in with the chicken, add your spices and lime juice and mix together. And here it is without the pre-cut peppers from last week. It really wasn’t hard and it didn’t take that long to slice, but again, mental hurdles are big…. 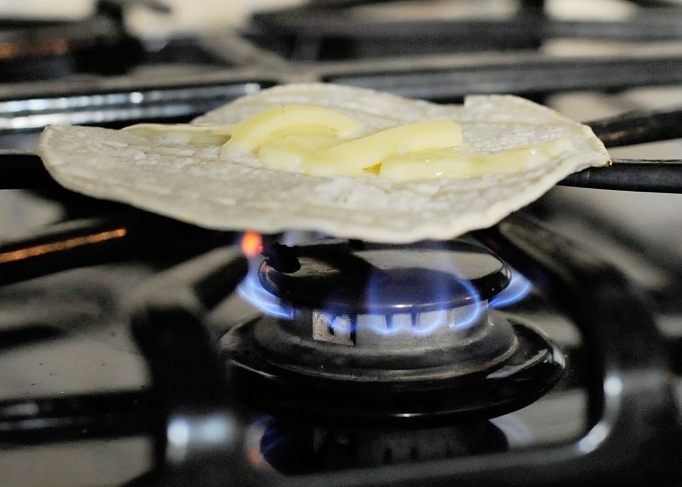 Then use either a big flat pan or put your tortilla on the stove top burner, very carefully. Turn as it starts to brown and the cheese melts, if you use cheese, but regardless please be careful!! 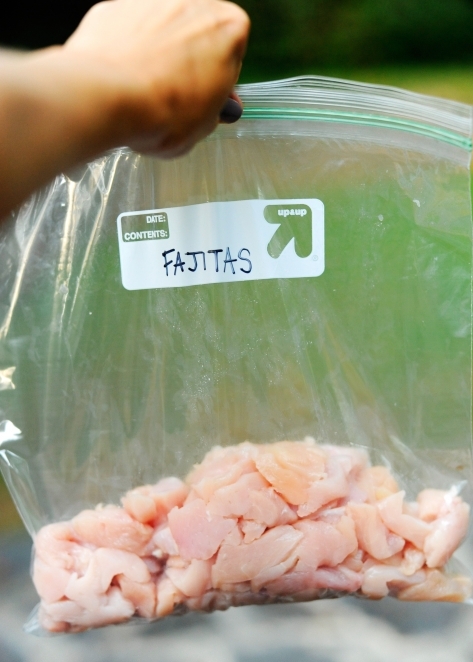 Place your chicken, guacamole and any other condiments you want to use in your fajitas and devour!! I hope you all like them as much as we do! In a large pan, add 1 tbsp of butter and your onions and peppers. Stir them and once they are brown, set them aside. Add the other 2 tablespoons of butter to your warm pan and add the chicken. Cook for about 10-15 minutes or until no longer pink in the middle. Then add the peppers and onions back in with the chicken, add your spices and lime juice and mix together. 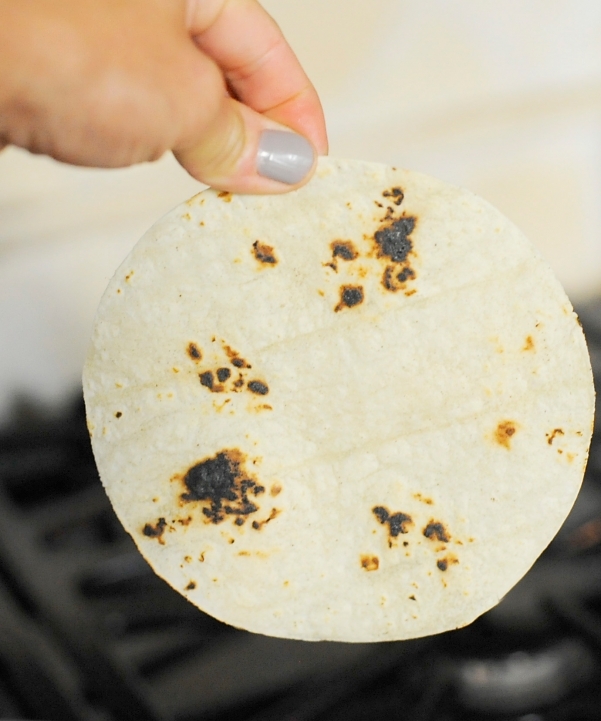 Then use either a big flat pan or put your tortilla on the stove top burner, very carefully. Turn as it starts to brown and the cheese melts, if you use cheese. 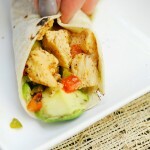 Place your chicken, guacamole and any other condiments you want to use in your fajitas and devour!! You may want less or more salt and chili powder. Add half and taste and then adjust to your preference.